Dr Fausett Macdonald: Anyone know more about him? So while reading around for an article on Ossulston Street I came across a couple of vague references to Macdonald in relation to The Torch getting out of the hands of the Rosettis from Conrad's Secrets by Robert Hampson. It it, he suggests that Macdonald got in touch with the Rosettis in 1893 and by 1894 was the printer and publisher. He then quickly disappears with Cantwell taking over in 1896. My eyes were riveted on the doctor's face, and only to one who knew him well could the expression be at all decipherable. To me it distinctly denoted disappointment--that humiliating sense of disappointment and disillusion which must invariably come upon a man of strong and fanatical convictions when brought into contact with the meanness and cowardice of his fellows. I was struck at the change that a few weeks had wrought in the doctor's appearance. His hair had grown unusually long, quite noticeably so, his tall figure was somewhat bent, and there was an unusual appearance about his dress. He had not yet cast aside the garb of civilisation, but his trousers evinced a tendency to shrink, and he appeared to contemplate affecting low necks in the matter of shirts. His feet were shod in sandals of a peculiar make, and there was a feverish look in his eyes. As he came towards me his characteristic kindly smile lit up his drawn features, and he grasped my hand with friendly warmth. I was delighted to see him, but somewhat shocked at the alteration in his looks. In answer to my inquiries as to his prolonged absence, he explained that he had been very busy for one thing, and that he had also been much preoccupied with his own thoughts on questions of principle and propaganda. Six detectives travelled to Dublin in the footsteps of the militant anarchist Dr. Fausset Macdonald to familiarise themselves with all his movements. Outside London only rarely would middle-class members ever attach themselves to local communist-anarchist groups. The Sheffield group of the early '90s, led into a volatile militant phase by two middle-class comrades - Creaghe and Dr. Fausset Macdonald - stood out as an exception ... Probably it was to them that Nicoll referred when commenting that "There was quite an irruption at that time of 'bourgeois' with plenty of money, which they spent freely", and strangely "were in favour of the most violent action". The Nicholl piece she refers to is the one in Commonweal June 20th 1897, titled "The strange case of Dr Macdonald." It deals with the aftermath of the Greenwich Observatory bombing in 1894, and basically involves Nicholl accusing all and sundry of being cops, including Max Nettlau, but fingers MacDonald in particular as being in cahoots with Samuels over the bombing and of supplying the key ingredients for the bomb. According to Nicholl, Macdonald appeared from nowhere in 1893, splashed a lot of cash around - including keeping Commonweal and the Torch going, getting them new premises (possibly Ossulston Street?) and - as with Olivia's book - freely using his medical skills and supplies to help London comrades. Nicholl places Macdonald as initially prevaricating and then disappearing shortly after being confronted over the issue. THE STRANGE CASE OF DR. MACDONALD — STORMY INTERVIEW WITH JUDAS SAMUELS — STARTLING REVELATIONS. In “The Greenwich Mystery" we stated that the explosives which Martial Bourdin had in his possession, and which caused his death, were "stolen" by H. B. Samuels, according to his own account, from a man named D-----•, by whom they were used in his business. There has been a general cry from the public, "Who was D? He is as bad as Samuols." And innocent men have in some cases been wrongfully suspected. For this reason, and because we think that Anarchists should be no respectors of persons, or make any difference between a “gentleman” and a workman, we now disclose D	’s name. D is Dr. Fausset Macdonald, who in those days had his house and surgery at 255, Edgware Road. Dr. Macdonald came into the movement in the summer of 1893. There was quite an irruption at that time of "bourgeois” with plenty of money, which they spent freely, and who, strange to say, were in favour of the most violent action. Theft, murder, and the indiscriminate use of dynamite, were lauded by them to the skies. This is remarkable. Most of the middle-class people I have known in the Socialist and Anarchist movement—save a few young men and women—have been extremely timid, and the most advanced have never dreamed of more than guns and barricades. But this phase of the movement existed in 1893, and it is worthy of note, doubtless it is capable of a rational explanation! Mr. Macdonald was very ultra. Unlike his friend Mr. Samuels—who always praised "free labour," and was very hostile to trade unionism, in which he resembled hia friends, the Fair Traders, whose creed is that all blacklegging should be done by Englishmen, and that no foreigners need apply — Macdonald believed in unionism; but he held, with Samuels, it was necessary to blackleg to break unionism down, if the unions would not admit all workmen into their ranks. Dr. Macdonald kept open house at 235, Edgware Road, people wore continually coming and going, and he not only provided the “Commonweal” Group with an office for their paper, but there was a small arsenal in his dispensary close by for any “comrade" who liked to help himself when the doctor's back was turned. Naturally, Mr. Samuels made the most of his opportunities and “stole" considerable quantities of chlorate of potash and sulphuric acid, which, in his goodness of heart, he freely distributed. The stuff for Bourdin's bomb came from there. The amount of chlorate of potash to fill a bomb is considerable, and one would have thought the doctor would have missed it, but be did not! And after Bourdin was blown up, Samuels “stole" some more, which he gave to his comrades in the workshop and elsewhere. Yet, though Mr. Samuels told a reporter he was in Bourdin’s company and remained there “a considerable time," within forty minutes of the time Bourdin started for Greenwich, yet the police did not arrest him, nor even call him as witness at the inquest. It seems that Scotland Yard did not “mint information" on the case. No wonder, if Samuels had been arrested, and had given information, whether the amiable doctor would have persuaded a stupid magistrate that the stuff was really “stolen." When the news of the disclosures at the “Commonweal" Group reached Sheffield, Macdonald came down with a young comrade from Manchester, and did his best to persuade me to make no disclosures in the Anarchist. He said he was firmly convinced "Samuels was not a police agent." “But, Macdonald, ' I said, “how could he have stolon that stuff from your surgery without your knowledge, and why did you lot him go on stealing more!" "Would you stop a man from acting on his own initiative" said the worthy doctor. “ Yes, I mean to stop that kind of business. Don’t you know he was exposing you to terrible peril, and why did you not stop him? If violence is necessary, let it come in the form of open insurrection, and not in dynamite explosions." I looked round, and saw the doctor shaking bis head with a pitying smile to his young companion. I then spoke with some warmth. "Don't you see,” I said, “that your own conduct İs open to grave suspicion?" “Now, if you talk like that," said the doctor, “I	shall...-"
"Don’t try it on. Macdonald," I said. He replied with a seraphic smile. sulphuric acid, at his suggestion they tried an experiment, but the stuff would not ignite. Macdonald was asked at Manchester for an explanation. He said, “Samuels was so ignorant of explosives that he had probably taken cough mixture for sulphuric acid." Bingham was right. Kingsley's “Alton Locks” tells us how the stuff supplied by Power, that would set fire to the stones of the street also spluttered and went out. And remember that the dynamite supplied by the “wholesale druggist" of Andrieux, tho French Prefect of Police, only left a black mark on the statue of Thiers, and did no further damage. 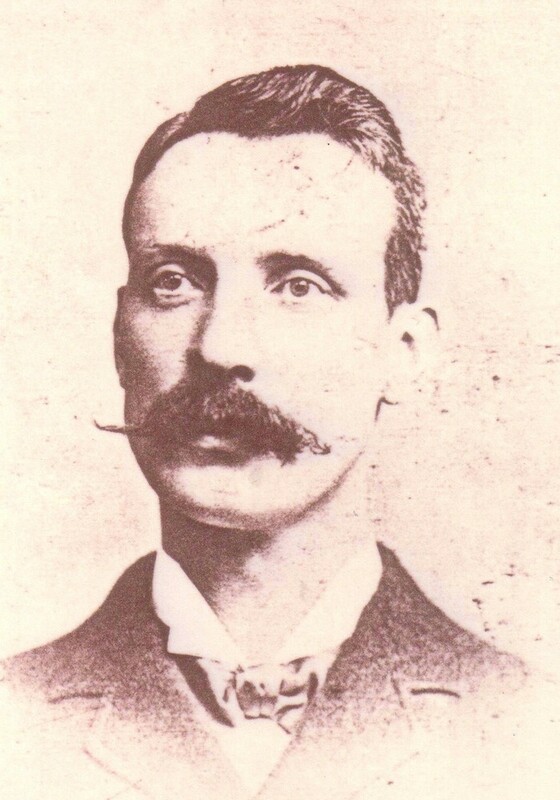 Though Macdonald’s name was freely mentioned before an audience of about eighty people, some of whom wore not Anarchists, as the man from whom Samuels had “stolen" the explosives, yet, though he stayed in England some weeks afterwards, the police nevor arrested him or Mr. Samuels. Melville boasts that He has paid lots of Anarchists money." Did then people give him no information? They must have sadly neglected their duty, if this is so. I had the pleasure of meeting Judas Samuels at the Tailors' Club, in February, 1896. There was Strong language on both sides. "Why did you go to see R— t" (one of the men to whom he had given sulphuric acid). "Are my personal acquaintances any business of yours?" "Look here," he replied, "You come outside, and I'll punch your head." "Why don’t you do it here !" " I don't want to upset the meeting." It was union night, and the tailors were paying their contributions. "O, yes, you are very particular about upsetting meetings, are you not - especially when you brought your wife into the “ Commonweal Group and upset that meeting." "It is all spit and envy on your part," said Samuels. “Envious of you t” I answered, contemptuously. “Envious of you t I should not liko to have your drcama." "You are nothing but a bloody madman," yelled Samuola. " I could put you away if I liked. Dr. Macdonald says you are insane." "Dr. Macdonald!" said I, ironically, “I don’t think you had better try that game on. Remember the Lanchester case." “Quite true, and I’ll tell you something else. Yon have the blood of the innocent on your hands." Samuels did not ask for an explanation of this mysterious language. He turned to the trade union officials and demanded that I should be turned out of the room, as I was not a member of this union. On the advice of Rowlands, the secretary of tho International Tailors, I left the room, but remained in the bar some time in the presence of Mr. Samuels, who did not renew the attack. Mr. Samuels is still a member of the Tailors’ Union. How long he will remain in that position it is for them to decide. There is another point wants clearing up in this case. What business had sulphuric acid and chlorate of potash in the same parcel? Daly carried these dangerous ingredients in separate parcels. Colonel Majendie says it is dangerous to carry them in close combination. Perhaps Inspector Melville and Mr. Robert Anderson will explain? They might also inform us who was responsible for the bomb on the Underground, and why they have not caught the scoundrel who put it there. In regard to the guilt of Samuels, everyone is agreed. Well, if Samuels was a police agent, how did his accomplice escape? Although Macdonald held extreme views, yet, owing to the fact that he was a mon of education and had charming manners, he was on very friendly terms with prominent revolutionists, who frequently gavr him good advice. These men nrver suspected what Macdonald was up to, any more than they thought that Samuelr was anything more than a noisy braggart. To what miracle did Macdonald owe his escape from capture? To me there is only one explanation. But there is one thing still more horrible about this frightful business. Both these men attended the funeral of their victim as chief mourners! A howling mob, exasperated by Samuels’ diabolical language, attacked the procession, ready to tear these gentlemen to pieces. Were the mob right in their blind rage? Dear Nicoll, I am sorry that you publish such things as the Greenwich pamphlet. It does the prisoners no good, and brings our cause into ridicule and contempt, and it might not be too late to withdraw it from sale altogether. For as to H. B. S. it proves very little. It is all your way of telling things, and a careful reader is soon able to keep both the things, proofs and insinuations, wide asunder. But this is nothing compared to the vile slander on pp. 14-16 on "D." This is the worst libel I have seen in print for a long time, and it decidedly rivals with Coulon's exploits. How on earth you can deliberately insult an absent man, knowing that the libel can be circulated for mouths without his knowing it, I cannot conceive. I am truly sorry to see your agitation degrade in this way. You may say it does not concern me, but having been on friendly terms (though but slightly acquainted) with the victim of your slander, I would lower myself, in my own opinion, if I were not to express my disgust at your incredible failure of judgment. Withdraw the thing from sale, and have those two pages reprinted. or you deprive your own agitation of every force. Everybody can point to this passage and thereby condemn all your other opinions and writings—which would do you wrong — though you have brought it on you. “ 36, Fortuno Gate Terraco, Willosden, London, N.W. « April 29, 1897." Is it true that in the autumn of 1890 he was expelled by our German comrades from the Autonomie Club on the charge of being an Austrian police agent? Also, who was the “relative” who left him money in April, 1892, about tho time of Ravachol's exploits and the Walsall case? Also, did he, in company with Dr. Macdonald, subsidise the Commonweal during Samuels' editorship, and is it a fact that during Morris' editorship of the Commonweal Dr. Netlau contributed with the following signature, . • • ; and whether, as Halliday Sparling told me, be once sent a paragraph extolling tho proceedings of certain "Anarchists" who had declared in favour of theft? Also, are paragraphs in other papers with the same signature, like the one praising the proceedings of Greek " Anarchists" who killed a banker merely because he was a banker, and for no other cause, and afterwards blew himself up with dynamite, from the pen of Dr. Katlan? Did not Coulon also write similar paragraphs under the signature X X, and was not he also enthusiastic about the exploits of Ravachol and Pirri? Further, why in Netau's "Bibliography of the Anarchist Movement," is “The International,” that delightful print, subsidised by money from Ausguste Coulon, and denounced by Kropotkin, Grave, Malateata, and all the most honest men of revolutionary movement as a vile police rag. is described by Dr. Netlau as an "Anarchist" organ? Does Netlau believe that burning the rich alive in opera-houses would do any good to the Anarchist movement, or help anyone but his friends of the international police? If Netlau is not a police agent, he is a very great fool, for he does their work admirably without receiving a farthing for his trouble. Such disinterested conduct is rare. Edit: Intriguingly, there's just one other reference to a "Fausset Macdonald" on searches - a Medical Society of London report by a Dr T Fausset Macdonald in 1909, on tropical diseases in Barbados. I have seen four cases of jaundice in Barbados, one from yellow fever, one from epidemic jaundice, one from influenza, and one from apparently simple obstruction of the bile-duct, and I can quite sympathize with those who have never seen an epidemic of jaundice, such as I reported in the Australasian Medical Gazette in 1887, as having occurred in New South Wales. 1895 to at least 1905: New Zealand and Australia. Noted as pioneer of "white Australia" movement [it's worth noting that the labour movement in Australia strongly backed a racist policy of exclusion of black workers from jobs at that time]. 1907 [news report, not BMJ]: Talks to Wellington Trades Council about "the Wage Crisis"
1893: Enters anarchist movement, makes immediate splash due to militancy, available cash and medical resources. 1895-6: Accused of complicity in Greenwich bombing, disappears. Edit: Hah, found him. Definitely the same guy. He wrote a racist diatribe which appeared in Mother Earth, November 1907 [PDF pp. 405-410]. By Dr. T. F. Macdonald. THE labor movement in Australasia is extremely complex, and very much confusion of ideas concerning it obtains not only in other countries, but also in Australasia itself. One reason for this is that a new factor or element, at any rate one not met with in Europe, enters into labor questions in the antipodes, viz., the element of cheap, colored, absolutely servile alien labor, imported almost at will by the employing classes, monopolies and trusts, whenever in the opinion of those dominating classes the workers of Australasia are making too much ground. From the fact that plenty of cheap, “reliable” labor is to be obtained within a few days’ sail of Australia, a sombre cloud hangs continually over the labor movement, threatening to pour forth a flood of blacklegging elements which might at any moment swamp not only unionist labor, but the entire working class. Such a calamity really happened in Queensland, where for some thirty years the work in tropical agriculture fell entirely into the hands of alien cheap workers, who were in reality slaves, having neither social privileges extended to them, nor could they in their helpless ignorance form even the simplest institution of self-defence. In the mines, again, Chinese labor had to be opposed; in the pearl fisheries, the Japanese. In fact, with the presence of Japanese, Chinese, Javanese, Hindoos, Cingalese, and other Eastern peoples, the workers of Australia have had an extremely up-hill battle to fight. However, the colored labor question must be reserved for future articles; at present it is enough to know that in fighting this, to it, hydra-headed enemy, Australasian labor consolidated its ranks, and grew extremely powerful. Here, perhaps, it were useful to mention that the general public of Australasia learned for the first time that labor fought not only its own battle, but that of the whole country; and a deep moral sympathy gradually grew towards the workers; which fact to some extent explains the widespread popularity of the Australasian movement, a popularity which gave to Australia for the first time in history a Labor Parliament, headed by a Labor Prime Minister. Prior to the great historical maritime strike of 1890 in Australasia there had grown up a magnificent movement of trade and labor federations. Australian and New Zealand federations were further united in strong bonds of solidarity. At the call of Australia, New Zealand joined the great strike of 1890, with results well known to those who interest themselves in other than their own national movement. The great strike failed in its main purpose, but the labor movement of Australasia was not, therefore, beaten; it was only checked. However, the blow was such as to divide Australia and New Zealand into separate movements, and from that time to the present they have continued to develop irrespective of each other; thus the Australasian labor movement presents two distinct phases which must be followed separately. At once it may be said that Australia developed rapidly in the direction of theoretical State Socialism, being influenced by the theories imported by such men as H. H. Champion, at one time rather famous in the English movement. Theories of Socialism flooded Australia in every State. Nationalization of the land became the chief plank in all labor political movements, which unfortunately became the vogue, as labor leaders rushed to conclusions far too readily. They wrongly judged that because of the failure of the labor movement during the great strike, politics must provide salvation for the workers weary of exploitation. Had they analyzed the situation closely at that time, they must have found by reason, what they are now beginning to feel by experience, that the great strike failed from insufficient economic forces, from the now obvious truth that capital is an international enemy of the workers, and can only be fought by international weapons. These can never be political, but must be, and shall be. forged from an international understanding between the labor unions and federations of all nations. However, Australia took up the political labor movement with marked enthusiasm. All, apparently, went well; and the hopes of the workers rose as political majorities piled up in every Australian State in favor of labor platforms. At last came the crowning political success of Australia: in the Commonwealth Parliament they found themselves in power. Surely the workers would now reap the reward of all their hard work at the polls. Measures in keeping with platform pledges would surely soon make their appearance. The land would be nationalized, also the means of production, distribution, and exchange! No! On the contrary, the platform was top-heavy; some planks must go. And the very first to be thrown into the “objective” was, yes, nationalization of land! The Labor Party in power found, as other political parties before them, that Australian land did not belong to Australians, but to English bondholders! How could it, then, be nationalized, when to expropriate would mean war with England, backed up by Germany, France, Holland, and all the money-lending countries of the world? Explain it as we may, the historical fact remains that when the Commonwealth Labor Party came before their respective constituencies for the second time, the land nationalization plank had vanished from the labor platform. The lesson and moral is this: that when political parties find their limits, which they quickly do, ideals are ignored; and the labor ship must be trimmed to the strongest political wind that blows. However successful the political side of the Australian movement may be in the Australian national sense, when confronted with international forces, an inevitable corollary to national success, it breaks down completely. The loss of time engendered by false moves like this is only a trifle of the evil wrought by the Australian political labor movement. Trusting to the shadowy hopes raised by political success, as far as gaining seats in Parliament can be called success, a most fatal movement now appeared among the unions, more especially among those of Queensland. So sure did the workers become of the soundness of political action that they began to neglect their trade unions; and in some cases—Charters Towers, for instance—they abandoned them. In 1905 in Charters Towers, a mining city, out of 3,500 miners only some 300 were organized in societies. But the penalty followed swift and sure. In that year, for the first time in its political history, a labor man was defeated in the political contest, to the astonishment of all Australia. It had seemed a moral impossibility to wrest a seat from labor in this stronghold of Democracy; but here, not once, but twice in succession, the forces of reaction triumphed. Why? The explanation is not far to seek, and again a moral stares one in the face. With no unions to resist the subtle application of economic pressure on the part of mine owners, workers found themselves sacked or coerced with impunity, and hopelessly beaten in the political struggle as a consequence of direct intimidation. The moral is: a political movement must ever prove to be an impossibility without support from flourishing economic organizations. It is something to know that State Socialists in Australia are very much alive to this interesting and all-important truth. A little more experience and knowledge will convince them that political action is a positive drag upon labor evolution in any country. Australia, we have seen, developed more particularly on the theoretical side as a result of the defeat in 1890 New Zealand went in quite the opposite direction. The solidarity of the workers during the great strike in its New Zealand aspect, as described by those who participated in it, must have been something sublime. “Unshakable as rock, and deep as the sea, and quivering with emotion,” were the words of one who weathered the terrible struggle. Was the strike a failure in New Zealand? If to shake the country to its foundations, and without returning a single labor man to Parliament to so impress the Government with possibilities and probabilities that it set to work immediately to initiate relief works, a Labor Bureau, humanitarian legislation almost by the square yard, so much so as to earn for themselves the world-wide reputation of being Socialists—if all this means failure, then the strike failed. But no! The proud position New Zealand holds as a pioneer in humanism to-day is due to the glorious solidarity of the workers during the famous strike of some seventeen years ago. This last fact is not sufficiently appreciated either by the New Zealand workers or by those students of sociology who visit New Zealand to study the so-called Socialistic laws of that country. New Zealand, then, won all its advanced labor laws without the assistance of a distinct Labor Party in Parliament, but by modification of Liberal platforms induced by the influence of public opinion, which was skillfully judged by the late R. G. Seddon, for thirteen years Premier. By far the most interesting items in the whole field of Australasian legislation are the Wages Board system of Victoria, and the Arbitration and Conciliation laws of New Zealand. Wages Boards are thought by Victorian employers to provide the best solution to labor problems. This is in itself a suspicious circumstance. If the employers praise an institution created to settle disputes with their employees, one may be sure there is something advantageous to themselves in the arrangement. So it happens with Wages Boards. Without going into detail, suffice it at present to say that the chronic action of Wages Boards is to destroy trade unions. The workers, instead of looking to their unions for help in times of trouble, look directly to the Board, and consequently they find no real use for their unions and begin to abandon them. This phase of union decadence would soon kill the whole movement in Victoria, were it not for the tremendous vigor thrown into it by union enthusiasts who appreciate the dangers and take active measures to guard against them. Arbitration laws act much in the same way. Thirteen years’ experience has convinced the New Zealand workers that arbitration by compulsion has riveted, as it were, the wages and salaries system firmly into their lives. They have found that wages can be maintained by legislation, but that prices and rents are uncontrolled thereby, and thus the actual position of the working family is scarcely benefited by increased wages. Now they cry aloud for the total abolition of the wages and salaries system, which they know cannot be done by Arbitration Courts unless those Courts include a system of profit-sharing in their jurisdiction, which they will never do without severe pressure from the economic field. To strike in New Zealand is in reality to revolt, and this means a very serious outlook for the next year or two in that country. Dissatisfied as the workers are with the present condition of affairs, knowing that they can get no satisfaction from the Labor Courts, and not being allowed by law to strike, they feel in a trapped condition. Twice or thrice they have kicked over the traces and actually revolted, thoroughly sick of dangling after Court decisions which might be given six months after entirely new conditions had arisen and new demands were necessary. Sure enough, the workers in New Zealand have become immune to Arbitration and Conciliation Boards, and the next step brings them face to face with the general plan of campaign of Anarchist Communism, viz., federation of unions, with international understanding of federations as the basic lines of associations embracing all wage and salaried people, who are common slaves of the one international enemy—capitalism.—London Freedom. A visiting speaker from Australia, Dr TF McDonald, ‘also referred to the US Governmental conspiracy which led to the judicial murder of Parsons and his comrades’, before proceeding with his prepared speech on the philosophical inheritance of Kropotkin, Bakunin and others. 1862: Thomas Fausett/Fauset MacDonald born in Chryston, Lanark, son of successful general practitioner Dr William MacDonald and Jane. 1893: Enters anarchist movement, makes immediate splash due to militancy, available cash and medical resources. With Max Nettlau, finances F B Samuels to edit Commonweal from May 1st (Slow Burning Fuse). Joins Freedom Group. 1894: Funds and edits The Torch and pays for the Commonweal offices (until possibly August - this being when the paper runs into serious financial trouble), travels to Sheffield, Manchester, Leicester talking to anarchist groups, also hosts talks at his Edgeware Road house. 1894-5: Accused of complicity in Greenwich bombing, legs it to Australia. 1895-1906: Active in Australian labour circles. Noted as pioneer of "white Australia" movement. 1907: Talks to Wellington Trades Council about "the Wage Crisis," pens analysis of Australian labour movement's descent into parliamentarianism. Thomas Fauset MacDonald was born in Chryston, Lanark to Dr and Mrs William MacDonald. The son of a doctor, Thomas chose to follow in his father's footsteps and study Medicine at the University of Glasgow in 1877. Thomas enjoyed a successful time at University - winning two medical prizes in 1879, and graduating with an Undergraduate degree in Medicine in 1882. Thomas' academic career did not end there, however. By 1892 he had obtained a second degree - this time in Veterinary Science - from the The Royal College of Veterinary Surgeons. Having completed his studies, Thomas moved to Australia, and by 1897 was in charge of a cottage hospital at Geraldton (now Innisfail) in Queensland. Here he specialised in tropical medicine, which lead to him opening his own private hospital at Geraldton - 'Dr T. F. MacDonald's Bureau of Tropical Disease and Cottage Hospital'. By the end of the 1900s, Thomas had left Australia and returned to Britain to work as the Resident Surgeon in London's Tropical Hospital. In 1910 he took up the role of Principal Medical Officer with the Compagnie de Kong in San Pedro, West Africa. While working in San Pedro, Thomas died of yellow fever on 14 December 1910. Another anarchist involved with the Wellington Socialist Party was Thomas Fauset McDonald. He arrived from Australia around 1906 and was involved with the Hutt Valley Socialist Society in early 1908. McDonald was a doctor specialising in tropical diseases. He had been active in the English movement in the 1890's and was a friend of Nettlau's. However McDonald was a racialist who published several articles and pamphlets outlining his ideas. He was condemned by his comrades in the Socialist Party in an editorial in the "Commonweal" in July 1907 when he became president of the White Race League. MacDonald had a surgery in the Edgeware Road, and encouraged a number of younger comrades to go there, where he initiated them into the knowledge of picric acid and other explosive agents. Dr MacDonald went to Australia. But Nichol, who by now was issuing a small paper called the "Commonweal" [NB// Not to be confused with the more famous one he had previously edited but was booted out of in the wake of the Walsall bomb plot - Samuels too that over] made a direct personal attack on Macdonald, attributing to him very doubtful motives. The "Freedom Group" published a "vindication" of Macdonald, and made a painful reflection on Nicol's state of mind. It looks like there may be more detail on his time in New Zealand in ‘Troublemakers’ Anarchism and Syndicalism: The Early Years of the Libertarian Movement in Aotearoa/New Zealand, by Frank Prebble. and in Sewing Freedom: Philip Josephs, Transnationalism & Early New Zealand Anarchism by Jared Davidson - anyone read it? Edit: Oh Jared actually posts here! Yes, just seen this. He did indeed become a racist whilst in Australia, peddling "racialist" ideas. as above. He is indeed the Dr Armitage in the Meredith (Rossetti) novel A Girl Among The Anarchists and the character of the Professor in Conrad's The Secret Agent may be based on him. He wrote a pamphlet for the White Race League around 1907 called Reasons For A White Race Movement. I find it interesting that his thinking on labour activism essentially reverses itself between his talk in Dublin, where he said blacklegging was fine because it would force the unions to open themselves to all workers, and his writing in Mother Earth where he argued that only strong unions solidly closed to blacklegging (which he argues was essentially what an influx on non-white workers amounted to) could win. Racists eh? I think he was a bit deranged judging from the stuff he came out with. I have some notes from NZ sources here, will dig them out. But not much more to add. My book has a poster and cartoon mentioning him, and I'm sure I have a copy of his White Race League Flyer too. For interested folks, the full bio is now up at the Big Freedom Rebuild campaign blog.